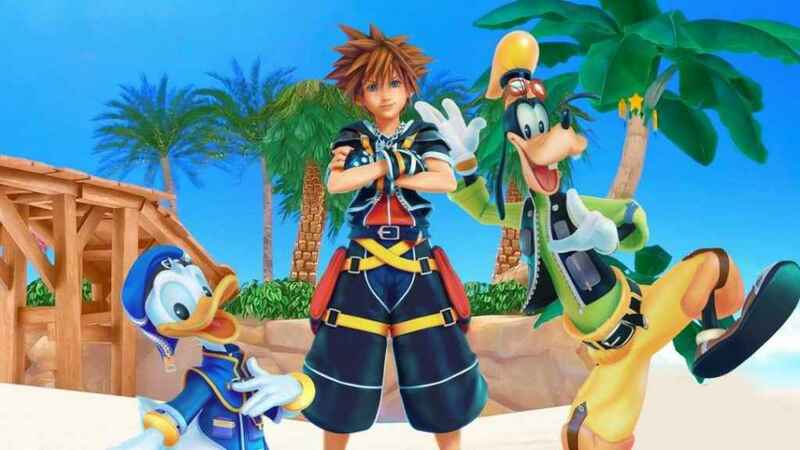 At E3 2018 this year, multiple new details about Kingdom Hearts were revealed, including the 2019 release date and the introduction of new game worlds, including Frozen. Square Enix also revealed the Kingdom Hearts 3 Special Edition, which is available to download on the Square Enix Store. Costing $229.99, it's quite a package! 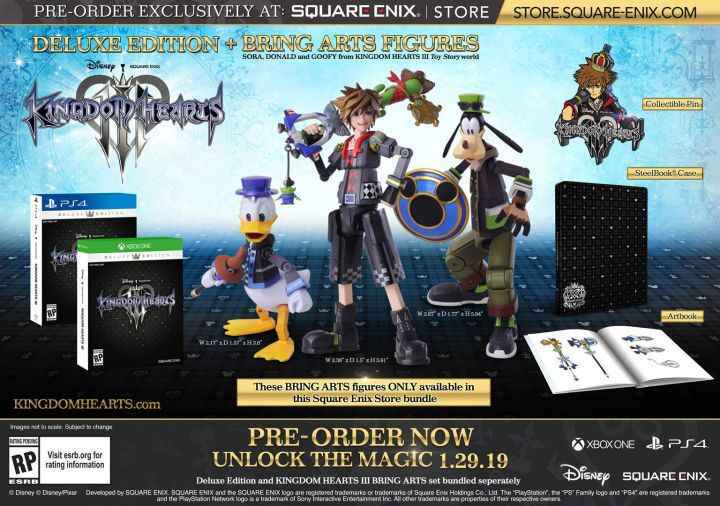 You can pre-order the Kingdom Hearts 3 Special Edition now for delivery on the release date of January 29, 2019. It includes three exclusive Brings Arts figures of Sora, Goofy and Daffy Duck. You also get a steel case, an art book, a collectible pin and the Deluxe Edition of the game. The Kingdom Hearts 4 Deluxe Edition is available at the more modest price of $79.99. This is basically the same edition as above, minus the figurines. So, in summary, there's a Deluxe Edition + Brings Arts Figures bundle and a Deluxe Edition available, or you can just simply by the standalone game on PS4 or Xbox One.